What’s My Paper Money Worth? 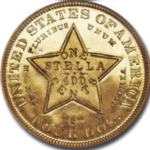 Note: The approximate prices listed below are for the most common U.S. small size paper money. Small size notes will have a letter after the date if the design was changed slightly or the signatures changed. If a sheet of notes was damaged or destroyed it was replaced by a Replacement sheet. Replacement sheet notes are identified by a * (star) next to the serial numbers. 1934 Notes with yellow or brown seals are WW II emergency money, issued either for Hawaii or North Africa. See the FAQ for more information on various currency types and their use. Grading Key: Average circulated notes grade between Very Fine (VF) and Extremely Fine (EF). These are notes with 3 or more folds, mostly sharp corners, bright colors and no tears. Notes of lower quality (Fair to Fine) bring lower prices. 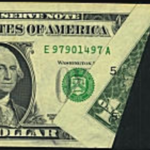 Unc – uncirculated or also called Crisp Uncirculated (CU) are notes in new condition with no, folds, bends and four sharp corners. Well centered and deeply impressed notes, called choice or gem quality can bring a good deal more than the approximate prices listed. In 1928, U.S. paper money was reduced to its current “small” size. 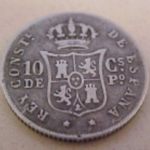 1928,A,B Blue $2 – $8 $35 $300. 1928D Blue $15 – $60 $250. $2,000. 1928E Blue $50 – $300 $1,400. $14,000. 1935A (North Africa) Yellow $5 – $20 $130. $1,400. 1935D,E,F,G,H Blue $2 -$3 $8. $25. 1957,A,B Blue $1 -$2 $4. $7. 1963,A,B Green $1 $3. $4. 1969,A,B,C,D Green $1 $3. $4. 1974 Green $1 $3 $4. 1977,A Green $1 $2. $4. 1981 Green $1 $2. $4. 1985 Green $1 $2. $3. 1988 Green $1 $3. $5. 1988A Green $1 $2. $3. 1993 Green $1 $2. $3. 1995 Green $1 $1.50 $3. 1999 Green $1 $1.25 $3. 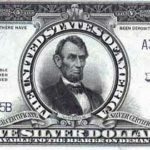 Although $2 notes are the least used currency, there was enough demand, at least in some parts of the United States, for the government to authorize an issue with an 1995 series date. 1928 Red $3 – $10 $50. $500. 1928A Red $5 – $30 $225. $5,000. 1928D Red $2 -$8 $30. $200. 1928E Red $2 -12 $65. $5,000. 1928F,G Red $2 – $8 $25. $225. 1953, A,B,C Red $2 – $3 $8 20. 1976 Green $2 $4. $6. 1995 Green $2 $4. $6. 1928 Red $6 -$10 $60. $150. 1928B Red $6 -$10 $30. $275. 1928C Red $6 -$10 $35. $200. 1928F Red $6 -$10 $25. $200. 1963 Red $5 – $9 $15. $20. 1934A (N.Africa) Yellow $6 -$20 $190.+ $450. 1934D Blue $6 -$8 $20. $50. 1974 Green $5 $10. $15. 1981,A Green $5 $10. $30-$40. 1985 Green $5 $10. $25. 1988,A Green $5 $10. $12. 1993 Green $5 $10. $20. 1995 Green $5 $6. $15. 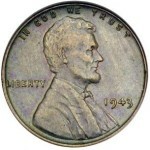 1953A Blue $10 -$30. $200. $225. 1928B Green $10 – $30. $100. $300. 1974 Green $10. $15. $20. 1977 Green $10. $15. $20. 1981,A Green $10. $15. $40. 1985 Green $10. $12. $15. 1988A Green $10. $10. $20. 1990 Green $10. $10. $15. 1993 Green $10. $10. $15. 1995 Green $10. $15. $20. 1999 Green $10. $10. $11. 1928B Green $20 – $50 $75-$100 $400. 1934 Green $25 -$30 $75 $175. 1934 (Hawaii) Brown $50 -$150 $1,000.+ $2,000. 1963,A, Green $20 -$30 $40. $60. 1969,A,B,C Green $20 -$25 $35. $50. 1974 Green $20 -$25 $35. $40. 1977 Green $20 -$25 $35. $40. 1981,A Green $20 -$25 $30. $40. 1985 Green $20. $30. $40. 1988 Green $20 $25. $35. 1990 Green $20 $25. $35. 1993 Green $20 $25. $35. 1995 Green $20 $25. $35. 1999 Green $20 $20 $21. 1934,A,B,C,D Green $50 -$75. $200. $500. 1950,A,B,C,D Green $50 -$75. $125. $425. 1996 Green $50. $50. $55. 1950D Green $100 -$125 $300. $750. 1950E Green $110 -$130 $175. $725. 1963A Green $100 -$110. $175. $225. 1969, A Green $100. $135. $250. 1969C Green $100. $125. $175. 1974 Green $100. $140. $165. 1977 Green $100. $115. $150. 1934 Green $600 -$650 $800 $1,200. 1934A Green $600 -$650 $800 $1,200.